Last week I started another Office 365 project. The custom domain to validate is hosted with GoDaddy, so once more I took advantage of the excellent integration feature between Office 365 and GoDaddy. This feature is not new, but it’s very good and therefore always worth blogging about it. Click here to see the official statement from Microsoft, about this integration, and a demo video. Now a quick walkthrough. My domain was already validated, but you can use the integration also for the domain validation, as it creates the necessary DNS record. 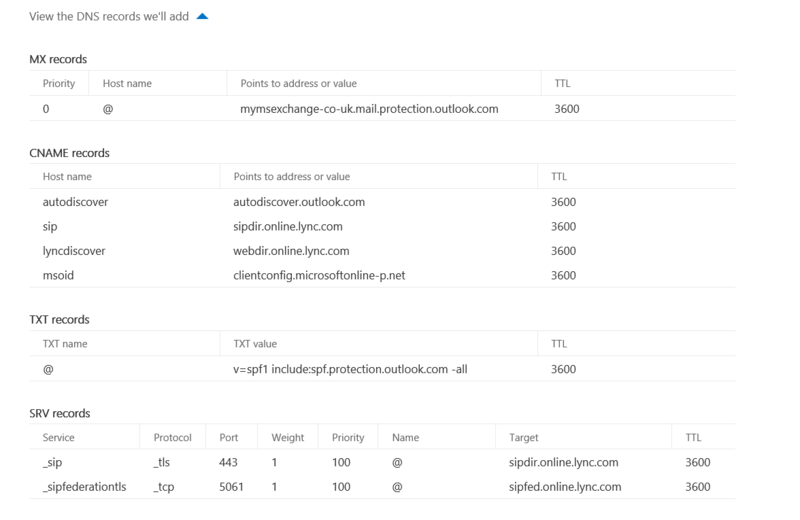 After the domain is validated and you set the domain purpose, the Office 365 Admin portal detects that your domain provider is 365, and you can then click on “Add Records” to add your DNS records. 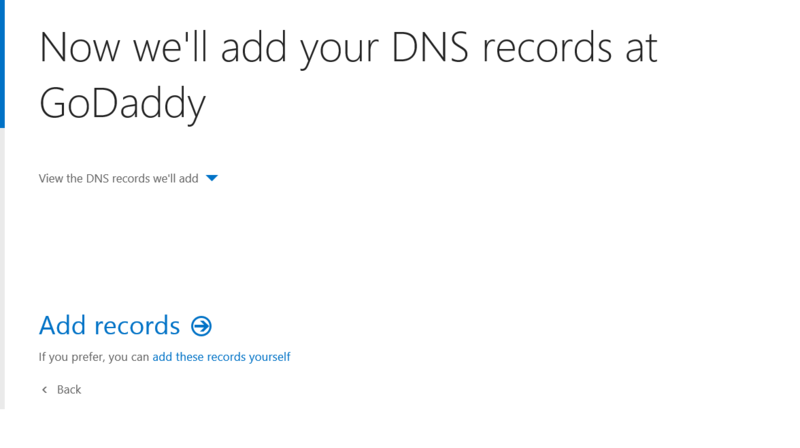 Before adding them, you can see the detail by expanding “View the DNS records we’ll add”. A GoDaddy logon window will pop up. Enter your username and password. 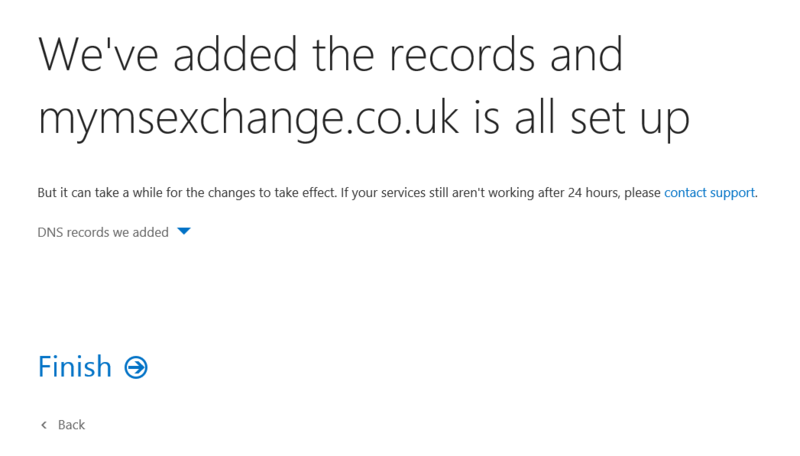 Click confirm to accept the changes on your public DNS zone. You will then get the confirmation that the changes were done. And if you login to your GoDaddy account and edit the zone file for your domain, you will see all the new DNS records there. That’s it. As simples as that! Enjoy!